Over the centuries, sailors have told legends of monster waves that would appear out of nowhere in the middle of the open sea. Most scientists dismissed the stories as fabrications and legends. These stories were reported over the centuries by sailors who repeatedly saw these rogue waves of gigantic proportions rise up from nothing far above the surrounding waves in the middle of nowhere. In the 16th century when sailors began to venture past the Pillars of Hercules after Columbus, these stories began to commonly emerge. Many attributed them to the wake of some hidden sea monster. 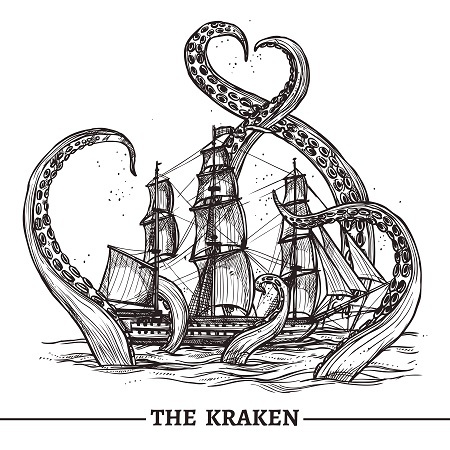 The ships that vanished were said to have been swallowed by these sea monsters they called the Kraken from Greek mythology. What was missing were any reliable measurements until New Year’s afternoon in 1995. On that day, there were between ten to twelve-meter high storm waves and a wave of almost 83 feet (26 meters) high under the oil drilling platform named Draupner. This was the very first time one of these rogue waves was actually measured by the sensors on the platform. Since then, what was once dismissed as legend has entered the field of reality. Hundreds of such monster waves have since been documented and they occur in different forms. For example, the convergence of waves in a nonlinear process can cause single superwaves to result from otherwise ordinary waves. I have found this stunning for scientists have been baffled by these rogue waves when in fact the same exact thing takes place is wave analysis of even the economy. 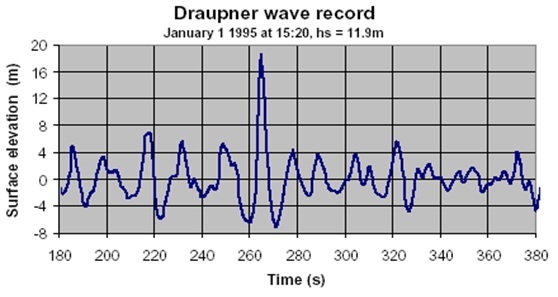 The Draupner wave was one of those mysterious lone superwaves that appeared to tower over all other waves. 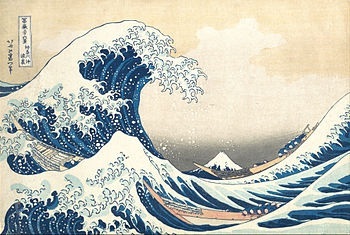 They are strikingly different from a tidal wave, which is when energy is passing through the wave until it hits shore. One of these superwaves appear out of nowhere, but they also vanish and disappear without a trace. This is what the scientists have failed to comprehend. Since the Draupner wave discovery, finally, research has been taking place to try to understand these interesting wave formations. Essentially, a normal wave that hits the shoreline is produced by a wave of energy that flows through the water which is the medium. 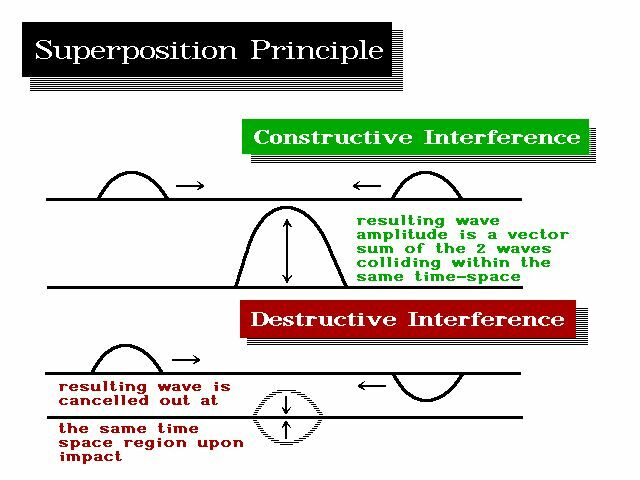 Those are quite distinct whereas a rogue wave is produced by the cycle of several waves that suddenly sync and produce a combined wave which is a singularity. If you look at something floating just off the beach, you will notice it rises and falls with the waves for it is not actually the water which is moving, rather it is the energy passing through the water. It is similar to what would occur if you received an electric shock; your flesh is not moving, it is the electricity passing through your flesh. Essentially, everything in the universe is subject to cyclical theory. These rogue waves are no different from a market that suddenly erupts, crashes, and in the end, wipes out economies and investors. Politicians then respond with laws and investigations to try to blame the event on some human cause and effect. They are simply caused by constructive inference. When several waves align at the same point, the amplitude is magnified. It is not that mysterious nor complex. Now, look at Bitcoin. The computer pinpointed the high in Bitcoin to the day. It understands these rogue waves, how they form, and how they will quickly vanish. We heard nothing but scenarios of the new age of knowledge and how Bitcoin would become the new reserve currency. So many people lost their shirt because they wanted to believe the hype and they ignored the reality of what takes place in a rogue wave.